So today I have a review of the Héhé 024 stamping plate from Lady Queen Beauty. This is the second item I am reviewing from them (you can read my first review HERE). For those of you who don't know Lady Queen Beauty are an online store which sell all sorts of nail art supplies, jewellery, hair accessories and makeup at very reasonable prices. They ship internationally via Singapore or Hong Kong airmail and shipping generally takes between 7-20 business days. You'll find out more information on their website HERE. They were even kind enough to give me a code to share with you guys for 15% off your orders with them: HYLC15. The Héhé 024 plate consists of 5 images which are well engraved. Each image stamped really well. I have created 2 designs to share with you and have also stamped the remaining images for you. The plate costs £1.92 and can be found HERE you can't go wrong for that price really! 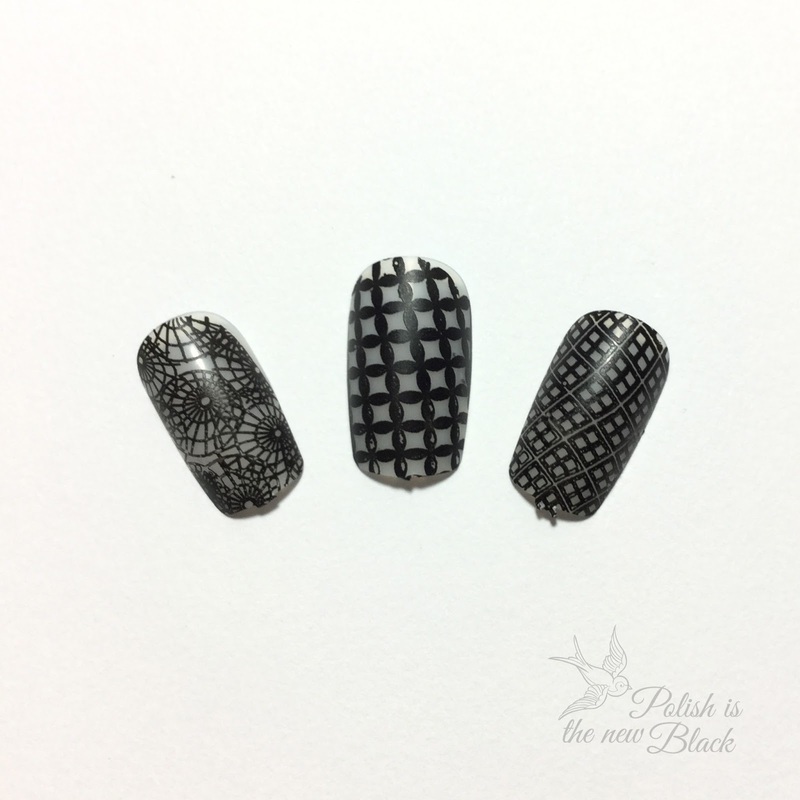 The first nail art look I created was using this asa-no-ha design. It stamped perfectly on my nails and I think it looks really effective. Barry M: Need for Speed £3.99 from Superdrug (currently on buy 1 get 2nd 1/2 price!). Models Own: Chrome Gold £4.99 from Models Own. FAB UR NAILS: Gold XL Stamper from Rainbow Connection (not currently available). OPI: Love Angel Music Baby £8.99 from Amazon. Gold triangle studs £2 from Shesellsseashells. Sally Hansen Insta-Dri top coat £5.99 from Boots. As you can see the image has stamped beautifully and I love the Models Own chrome polishes for stamping they are really incredible! The image fit my pointer and middle finger nails perfectly. I did find you had to be careful about which way you transferred the design onto the nail to ensure the design covered (the only draw back of the plate is that the images are triangle in shape so you have a smaller section of the image which is usable). Here I created another look using the mermaid scale design. Again the image stamped really well (granted its not perfect but I think that is down to my stamping - I've said before I'm not a pro). 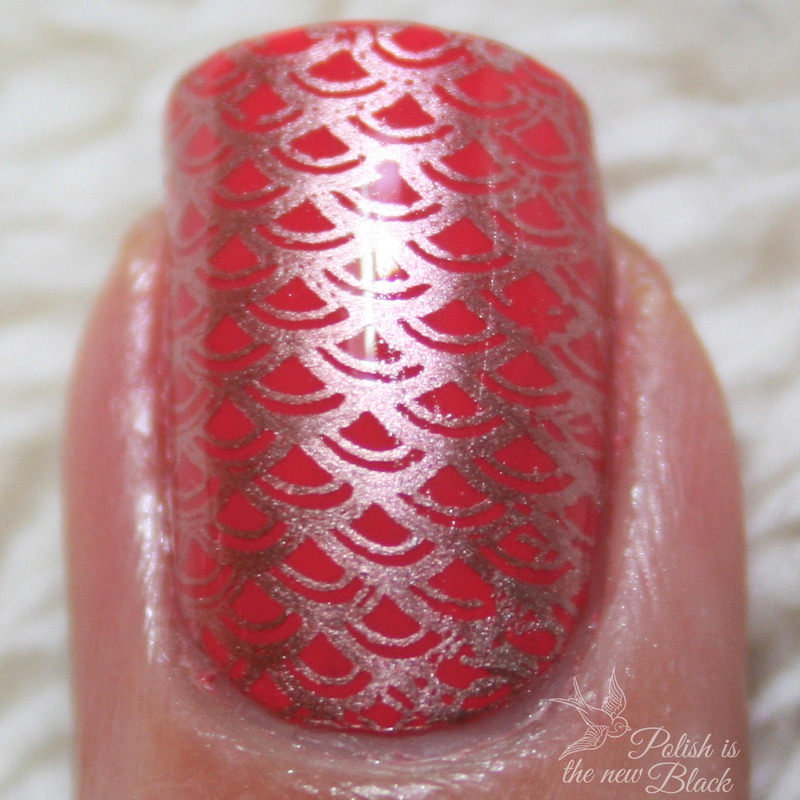 Here you can see a close up of the stamping - It was much more clear on this nail. Ard as Nails: Dolly's Day £5.50 from Soap Dodger. Models Own: Chrome Rose £4.99 from Models Own. Primrose Charm in cream $2.99 from Daily Charme. Again the image covered my pointer middle and pinkie nails perfectly. The only downside as mentioned above with the plate is that the design isn't large enough to cover my index nail. However it isn't a huge draw back for myself as generally I like to vary my designs as illustrated above with accent nails. Again the images have stamped well (not perfect but that's down to my stamping skills I'm afraid). I've demonstrated the stamping on fake nails to avoid having a super long post. I was really impressed with this plate for £1.92! I mean you can't complain really - all of the images stamp really well and make nail art relatively simple (once you've got the hang of stamping). All of the images are really interesting and can be used to create interesting designs. Don't forget you can also use my code HYLC15 for 15% off your order! The only down side I can find for this plate is the set out of the images (the triangle shape limits the area that will fit the nail). However it will generally fit most nails - I have large nail beds and I was able to fit the designs to all my nails except my index finger and thumb. 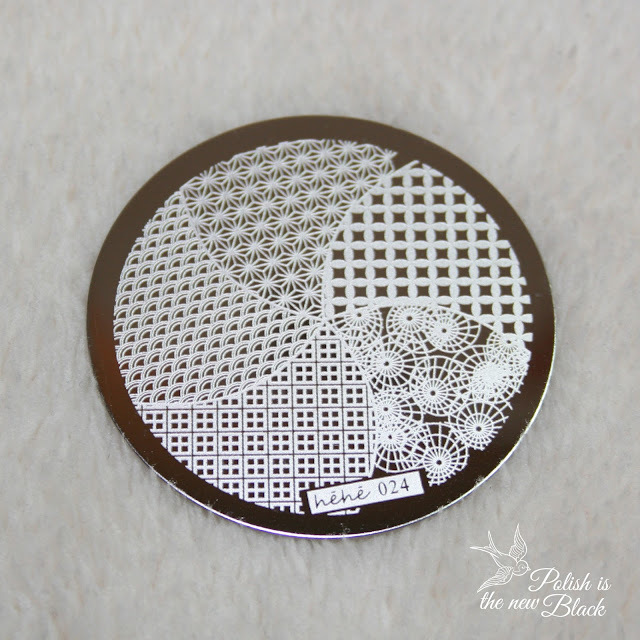 The plate has a great variety of designs and they can be creatively used to create interesting nail art looks.